Out of the box Visual Studio 2010 supports extensions development only for VS 2010 and Visual Studio 11 supports extensions development only for VS 11. If your Visual Studio extension supports both VS 2010/VS 11 and doesn’t contain much version specific code you may want to develop it in Visual Studio 2010 and just specify that it supports Visual Studio 11 as well. Specifying only the Pro edition means that the Premium and Ultimate editions are also supported. Additionally you can increase the MaxVersion attribute of SupportedFrameworkRuntimeEdition from 4.0 to 4.5. For Visual Studio 11 extensions default framework version is 4.5, but extensions with specified max version 4.0 work in VS 11 just fine in practice. That’s all. 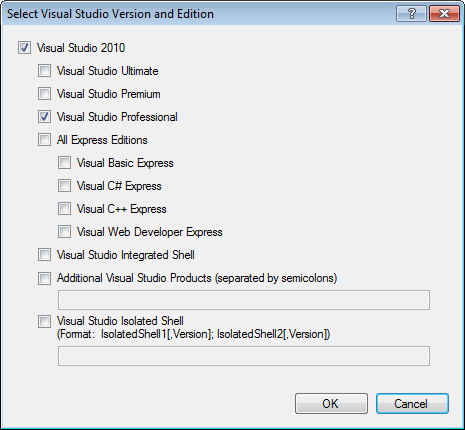 Your extension can now be installed in both Visual Studio 2010 and Visual Studio 11. 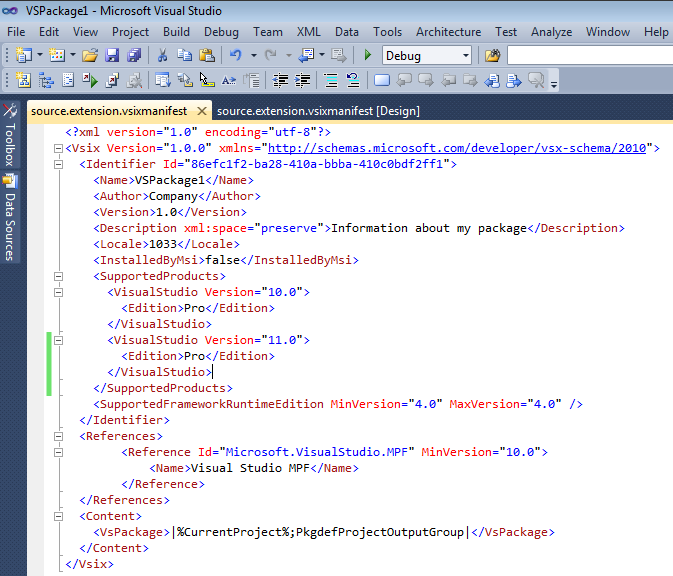 This entry was posted in Uncategorized and tagged Visual Studio 2010, Visual Studio 2012, Visual Studio extensions. Bookmark the permalink.